THE MODERATOR: All these great fights I’m about to introduce will be live from Las Vegas T-Mobile Arena on September 15 as part of a special HBO Pay-Per-View Undercard featuring the highly-anticipated rematch between Lineal Middleweight champion Canelo Alvarez versus WBC, WBA and IBO Middleweight champion Gennady “GGG” Golovkin. In the opening fight on this great fight card, on HBO Pay-Per-View telecast is pound-for-pound, king and former division world champion, Roman ‘Chocolatito’ Gonzalez from Nicaragua. He will make his highly-anticipated return against experienced Mexican warrior, Moises Fuentes in a 10-round super flyweight battle. We also have on this great fight card former IBF middleweight world champion David Lemieux from Montreal, Canada versus Irish warrior Gary “Spike” O’Sullivan of Cork Island will go head-to-head in the 12-round middleweight slugfest. If you think those two fights are great, we also have as the co-main event, breakout Mexican star Jaime Munguia, who will make his second defense of his WBO junior middleweight world title against rugged Canadian contender, Brandon Cook. Both fighters will also be sharing their comments on the call today. This epic event will be produced and distributed live by HBO Pay-Per-View beginning at a special time at 8:00 p.m. ET, 5:00 p.m. PT. Tickets are selling fast. You can still purchase tickets online at www.tmobilearena.com or www.axs.com. Fight fans can also watch the fight on closed-circuit locations in Vegas at the MGM Grand, Mandalay Bay, mirage and the Luxor. Tickets may be purchased at any MGM Resort Resorts International box office with a major credit card, or online at www.ticketmaster.com. At this time I would like to introduce Juan Carlos Torres of Zanfer Promotions. JUAN CARLOS TORRES: Hey, Robert, thank you very much, and thank you to everybody here involved. We are very excited, again. Last year, we were a part of the biggest fight of the year, and here we go again. And not only that, but the undercard — of course, this is probably one of the most anticipated fights in the undercard because Chocolatito’s comeback, everyone wants to see him back; and Moises Fuentes is ready to take that challenge. He’s excited. He also wants to prove that he’s not finished. He’s been a world champion a couple of times already, and he’s excited and very excited to be a part of this and we want to thank Golden Boy and 360 and Tom Loeffler for this amazing opportunity, and we just want to be ready. We just want to be there already. So thank you to all of the participants in this call, and all the sponsors and everybody involved. Thank you. THE MODERATOR: Thank you, Juan Carlos. Thank you. Now, I’d like to hand it off to Tom Loeffler. TOM LOEFFLER: We have a great working relationship with Mr. Honda of Teiken Promotions. We’ve done so many fights and had Roman on shows together with GGG. Chocolatito was the pioneer of the Superfly series. We have the Superfly 3 screening this Saturday on HBO, and because of the success, because of this excitement that Chocolatito brought to the ring here in the United States, it allowed this whole series to be spun off from his success. The fight game special with Jim Lampley comes on after the Superfly series, and between Chocolatito and GGG on Sunday’s show has been a tremendous pairing. When the Pay-Per-View starts out with Chocolatito as the first fight on the Pay-Per-View, you know what quality show this is going to be. He’s fighting Moises Fuentes as you mentioned, a very rugged Mexican warrior. So many people are looking forward to seeing Chocolatito back in the ring. It’s been a year now and the fans can’t wait to see him, one of the most exciting, one of the most respected fighters in the sport back in the ring. So we are excited about this show. We keep working together with Golden Boy to put this whole show together. And at this point, I can turn it over to Carlos Blandon. Carlos is Chocolatito’s manager. CARLOS BLANDON: Well, hello to everyone. We are really happy with Taken Promotions, Mr. Honda, with 360 Promotions, Tom, everyone in HBO; with all the sponsors that have helped this event come through, we are really happy, to Roman and us as a team, I think this is the best stage possible for Roman for his comeback, and we are very happy and thankful to God that we are given this opportunity, and we know that Roman has been training and will not give anything less than the best. TOM LOEFFLER: Thank you, Carlos. With that, we’d like to introduce Moises Fuentes who can say a few words, and then Roman can say a few words after Moises. MOISES ‘MOI’ FUENTES: Thanks to Zanfer Promotions and to everybody involved for this opportunity. I have the opportunity of a lifetime to fight against a great Roman Gonzales. I’m very well prepared for this fight. I’m ready. We feel strong and if God’s willing, we’re going to be victors that day and again, thank you to everybody. TOM LOEFFLER: Thanks. Also acknowledging Zanfer Promotions, great friends of ours. We’ve done many fight together, and representing Moises together with Juan Carlos. With that, someone who doesn’t need any introduction, unanimous pound-for-pound champion, and as I mentioned, everyone is looking forward to his comeback into the ring on September 15. So with that, I want to introduce Roman “Chocolatito” Gonzales. ROMAN ‘CHOCOLATITO’ GONZALEZ: I’m very happy and thankful to God, HBO, 360 promotions. I’m very excited to be on the card with Canelo and GGG. I believe it’s a great opportunity. I’m very excited and I’m very happy and I can’t wait to give a great fight. Q. Roman, it’s been one year since your fight with Srisaket Sor Rungvisai, obviously a rough knockout loss. In the one year since that fight, what kind of doubts did you have about what you still had left to offer boxing as you were getting ready for your comeback? Did you have doubts about what you could still do? ROMAN ‘CHOCOLATITO’ GONZALEZ: It was definitely a very difficult year from the loss that I suffered to Srisaket Sor Rungvisai. I believe the wisdom to be able to overcome this situation — I believe that I’m back in the ring and I’m coming in great condition and I definitely want to win the fight, like every other boxer, and I believe that I am starting to set up my comeback. Q. You’ve done so much and you’re going to be in the Hall of Fame someday, for sure. You’ve won titles in four weight classes and made a lot of history and been in a lot of great fights. At age 31 and in a small weight class, what do you still want to accomplish and what do you believe is left for you to do? ROMAN ‘CHOCOLATITO’ GONZALEZ: I’m very happy because of the situation and the accolades you just mentioned, about probably being in the Hall of Fame, but I feel that I still would like to obtain a fifth world title. Q. In a different weight class? Q. Just out of curiosity, also, what’s the exact contract weight for this fight? ROMAN ‘CHOCOLATITO’ GONZALEZ: 115 super flyweight. Q. Given that you were undefeated for so many years and then you’ve had losses back-to-back to the same opponent, do you think that it was just a bad style match up for you that caused you to have the two losses in a row, or is it something else? ROMAN ‘CHOCOLATITO’ GONZALEZ: I believe the knock out — very strong boxer and he does have a difficult style, a style that complicates boxing. When I was inside the boxing ring, I got hit and I feel he’s a really good boxer and great champion. But at the same time, I also feel — I’m able to be back in the ring. ROMAN ‘CHOCOLATITO’ GONZALEZ: I don’t give too much importance to the fans that don’t want to follow me. I give importance to the fans that do follow me. Everybody has their own opinion and their way of choosing the fighter they want. I love them all and I wish that God blesses everyone in this fight. I’m very happy and I feel this is a great opportunity, and I’m ready to be able to overcome this tough year and be able to fight again. Q. If September 15, do you believe this is your coming out party? Everyone is expecting you to win and to do good and come out on top. But what happens if that day, you come out on top? Is that a dream come true? Would that be a dream come true? MOISES ‘MOI’ FUENTES: Absolutely. You know, I have a chance like everybody else. Nothing is written in boxing. I feel that I can beat Roman. It will definitely be something out of a dream, but I’m ready to fight and I hope I can beat him that Saturday. Q. Roman, we know that you have a very important relationship in your life with God. I’m wondering, what kind of advice or conversations you might have had with God in the last year or so, as you’re looking whether to retire, whether to come back, and after your losses? What has that relationship been like, and how important has that been in guiding you? ROMAN ‘CHOCOLATITO’ GONZALEZ: I’m so thankful to God. I believe God keeps being my guide and always will be my God and I pray to God for everything and I thank God for all the blessings I’ve got through boxing and for being healthy. I ask God to take care of me in the ring, and I believe that I will succumb to whatever God’s will is on September 15. Q. Are you nearer the end of your career than the beginning, and do you think about your legacy, and how would you like people to remember you on the day that you retire at some time in the future? How do you want people to remember you? ROMAN ‘CHOCOLATITO’ GONZALEZ: I believe everything that you put this God’s hand, that will come true, so I want people to see me as somebody to give them hope, a champion that will be a great fighter, made it possible, coming from nothing. Q. How close did you actually come to retiring and is there a point where you felt you would retire and what changed your mind in terms of coming back and fighting? ROMAN ‘CHOCOLATITO’ GONZALEZ: Very close. I really wanted to retire because I wanted to spend time with my children, which I had not been able to, due to so much determination within my career and the training and whatnot. But at the same time, I spoke to my family, and my family encouraged me, as well as myself, to be able to fight in the ring and I feel it wasn’t my time. It wasn’t my time, and now I’m ready to fight once again September 15. Q. How much of your decision was that you didn’t want to end your career on the type of loss that you had last year? ROMAN ‘CHOCOLATITO’ GONZALEZ: No, that has nothing to do with it. I wanted to fight. I believe I’ve received a lot of blessings for world titles, being ranked for a time as the No. 1 pound for pound, and I believe that is enough, but I was just happy to have the opportunity again. Q. You haven’t fought in a year now. How has that rejuvenated you? How has that helped refresh your mind and your body over the past year? ROMAN ‘CHOCOLATITO’ GONZALEZ: I feel I’ve rejuvenated a lot. It’s really helped me be able to come back. Q. If you win, do you feel you’re in position to fight for another title? You have a lot of cachÃ© in the sport. Where do you feel you would be if you win this fight? ROMAN ‘CHOCOLATITO’ GONZALEZ: Yes, I want to first finish this fight and then I’ll look forward to the next fight. TOM LOEFFLER: We’ve put together one of the best shows, Pay-Per-View shows. We’ve got so many compliments on having Chocolatito on, Fuentes and Munguia, Brandon Cook, Lemieux and Spike O’Sullivan. It was a great team effort and I think this undercard is really going to complement the biggest fight and the biggest show of the year. So we’re excited coming up, we’re just finalizing the last week here, and we’ll see everyone next week in Las Vegas. BRANDON ‘BAD BOY’ COOK: I’m happy to be a part of this. 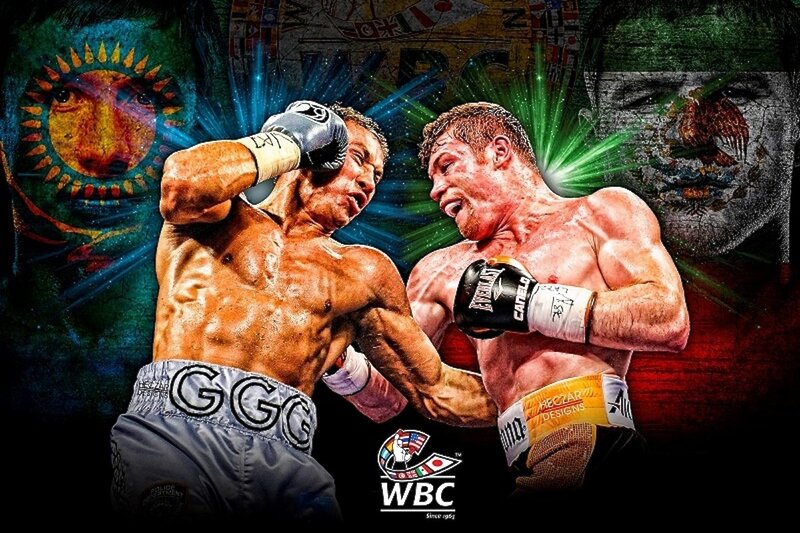 Canelo and GGG are two of my favorite fighters to watch the last couple years, after the first fight, and just to be in the same building as them is just like a dream come true, especially fighting for a world title. It’s been everything I’ve ever asked for, and I’ve worked so hard to get to this position. Pretty much I’m walking around trying to get a bunch of tests done because they pretty much told me yesterday that all my medical stuff isn’t good enough. We had everything already done. They told us a couple weeks ago that it was all good to go, and then all of a sudden we get a call yesterday saying I’ve got to get a full eye exam done again, a full physical done again and a full blood test done again, and I’m leaving in a couple days. So I don’t understand why all of a sudden they just tell us now, when we sent our stuff in three or four weeks ago. That’s the only thing I’m kind of a little bit upset about right now, but whatever. It is what it is. I just can’t wait to get there and show everybody a great fight. I know Munguia is one of the toughest guys coming up right now, and I’m up for a challenge. I can’t wait to show the world who I am. Nobody knows who I am. Some people know who I am, but they are going to know who I am after September 15. JAIME MUNGUIA: I’m very happy to be able to participate in this big eventful of stars. I’m happy, also, that I get to participate on the show date. I’m ready. I have trained really, really hard. I need to focus a lot. I’m excited and I can’t wait, and I’m ready for Saturday, next Saturday’s fight. Brandon Cook is a really good opponent, a really strong opponent. He has a lot of experience and is a strong and tough opposition. I need to be very careful with him because I’ve seen a couple of fights, and he looks when he’s hurt, he’s the most dangerous. I need to really focus on the fight and really be at my best on Saturday. Q. Given the narrative and the things happening surrounding the main event of the fight, is there a different pressure on how you approach the fight in terms of your performance, so that all of that doesn’t completely overshadow the bout that you will engage in and making your presence known in boxing on such a huge platform and such a huge night, starting with Jamie. JAIME MUNGUIA: No, I don’t have any pressure, extra pressure. I’m very relaxed. I know that I cannot have those things, pressure, because I need to do my job. That’s what I need to do. I need to focus on my job and my fast and my training, and the rest will take care of itself. Q. Brandon, can you answer that same question? BRANDON ‘BAD BOY’ COOK: Yeah, pretty much it’s the biggest of the year obviously, but I’m just happy to finally fight for a world title and to be on this stage is obviously amazing. I’m just going to do my thing like I always do. The pressure; there no pressure, really. I’m not supposed to win, right. That’s what everybody is saying. I’m a 14:1 underdog right now and I’ve been underdog a couple times, so I know how it feels. Once that bell rings, I’ll going to do what I do best. I’m coming to fight. The crowd doesn’t phase me. When I went to MontrÃ©al, from that ring, everybody was saying the craziest thing to me. I don’t care. I like to feed off that. So it is what it is and I’m just really excited to be part of this amazing card. It’s going to be fun. Q. So do you think that maybe this is a help to you in your approach to this fight? The focus will primarily be on the main event of the card but with such intense scrutiny focused on the main event, do you feel almost like you can move around and prepare in more peaceful circumstances than usual? BRANDON ‘BAD BOY’ COOK: Pretty much for me, I think there will be a ton of people watching this and they will be getting ready for that main event and Jamie and me are going to give the people what they want to see. They are going to enjoy this fight and with we are going to get them wound up and ready to go for the main event. I know he can fight, and I can fight. This stylistic match going to be a great fight and it’s just going to open a lot of doors, whoever wins, obviously. He’s the next up-and-coming kid. He’s tough. He’s strong. He’s young. But I don’t care. I’m just coming to do what I got to do, and I can’t wait to get in there. I’m ready. I had two fights fall on me this year and this whole summer I’ve been training. It’s everything I’ve ever wanted. I can’t wait to get out there and do my thing. JAIME MUNGUIA: I learned a lot in the last fight. I learned not to get desperate, and in training camp, and what I trained in, and I’m basically with the mind-set to go in and do my job, and that’s it. There is nothing extra. There is no pressure, just do my job, what I do every day in the gym, and I always feel relaxed. This is nothing new for me. It’s a fight between me and Brandon and nothing else. The rest of the card, it’s different. I cannot have any control over what happens in the main event or the other cards. I just need to do exactly what I’m doing in training camp, and that’s it. Q. Jamie, 2018 has been a big year for you. It’s been a year of a lot of turbulence, and a year of a lot of news, a lot of activity. How do you feel this year is going for you? JAIME MUNGUIA: A lot of turbulence, a lot of news and a lot of good results. I have a lot of activity, a lot of surprises, also. But of course, this year has been the biggest of my career so far. But the reality is that I cannot lose focus because everybody wants my title and everybody’s after me. I used to be the one who was hunting; now I’m the hunted one. So, I’ve got to keep focusing and I’ve got to keep working on the gym. Q. In a few weeks, you will be fighting. How different is this challenge? BRANDON ‘BAD BOY’ COOK: I think he’s just more of a powerful young kid — more of a better boxer. I take any fight. I don’t care who it is. They are both really good. Obviously Kell Brook had his little ankle injury going on and I never ended up getting the fight, but one door closes and another one opens. Jamie Munguia was the prospect of the year last year, so to be fighting someone like this is amazing to me. Like I said, I’m going to do everything I can to take that title back home with me. I know it’s going to be a tough fight, but I’m ready. I’ve been training all summer, man. I can’t wait for this. This is a huge opportunity for me and my life, and that’s why I quit my job last year so I could train full-time. This is what I want and this is why I’m here, where I am today. Q. Brandon, what have you noticed from Munguia, particularly the last two fights that have been on HBO, it seems like he’s not hardly hit. What do you see in him? BRANDON ‘BAD BOY’ COOK: I pretty much, what I see is when he gets somebody hurt, he tries to take their head off. His offense is pretty much his defense. He comes forward and just throws bombs, right. He’s a tough kid. He throws everything into every punch. I’m sure he says that he’s going to try to change that a little bit, but I know I’ve got to keep my hands up tight and be smart. I think once he feels my power, he’ll probably change his style up a little bit. I watched the lie a.m. Smith fight a couple times and Smith hit him a ton of times, but Smith didn’t hit him with too many good, clean punches, but the fight before that with alley, he pretty much just rolled alley over. I think alley is too small for Munguia. Munguia looked way bigger than him. Size makes a big differs, too. He’s going to come in close to 170 pounds and I’m going to come in close to 168-ish. He’ll be a lot taller than me, but you’ll see the difference in our body types. I’ve been training so hard this summer for this, and this opportunity just came out of nowhere. I only had five weeks’ notice but I’ve been training all summer for this. I did three different races — I’m a dual athlete, this opportunity came up and I jumped on it. It’s going to be a tough fight obviously but I’m ready for what he wants to bring me. Q. You feel you’re a bigger puncher than Liam Smith, right?? BRANDON ‘BAD BOY’ COOK: Growing up, any time I would hit somebody, they always drop. I’ve been in a ton of street fights. That’s what got me into boxing obviously. I know how much power I have. You don’t just develop power. You’re born with it and I was born with power. I might not have been born with the best boxing skills but I’ve learned a lot over — I turned pro in 2011, I learned a lot about how to box now. I’ve just got to be smart, like I said, and throw my punches. I know how hard I hit, and if I can hit his square in the chin, like I did to Butler or anybody else I hit, they are going to feel it. I think, no offense to Liam, but I think I hit harder than Liam Smith. We’re going to see what happens when it comes next Saturday night. Q. Brandon, you mentioned you were in a lot of street fight as a kid. At what point did you start boxing at the gym? BRANDON ‘BAD BOY’ COOK: Not till pretty much I was 19 years old. Pretty much I was fighting people all the time, knocking people out all the time. And then my coach today, one of my best friends, brought me to the gym because he used to fight. He’s like, you’ve got to try this out. So I ended up going to the gym. First day in the gym, I called on the coach. He literally beat the crap out of me for three rounds, and I’ve never been beat up before. So I was like, whoa, this is — I had to come back. I kept coming back, coming back, and then only had three amateur fights but my fight is more of a pro style. When I first started, I kind of came forward and just tried to rip their head off pretty much. I’ve learned a lot, now, but if it wasn’t for boxing, I wouldn’t know where I’d be. Like I was doing a lot of stupid things when I was a kid, and I’m happy where I am today. Q. What’s your coach’s name and what is the gym you went to in Ontario? BRANDON ‘BAD BOY’ COOK: My coach’s name is Mike Guyett and the gym I train at is Ajax Boxing Club. Pretty much we have our own little — we go in wherever we want, do whatever we want. He has a couple fighters, but pretty much he just trains, he putts all his time into me, and he knows a ton about boxing. Nobody is going to know who he is, but he’s like a boxing-cyclopedia. Anything you ask him, he’ll know about it. I don’t understand how he knows so much about boxing. Any time there’s a fight, any time there’s reports, he reads the boxing sheets every day. He knows everything. It’s crazy. BRANDON “BAD BOY” COOK: G-u-y-e-t-t. And he’s pretty much the same age as me and we’ve been doing this since I’ve been 18 years old, he’s been training me. So we just have a good connection and he learns a lot and I learn more every time I work with him. It’s been a good run, and look, we got to a world title shot, so we must have done something right. Q. How close is the gym that you train at in relation to Toronto? Is it close? BRANDON ‘BAD BOY’ COOK: It’s not far at all. It’s like 30 minutes. I travel all over the place for sparring because we don’t have much sparring in Ajax. Like I go to a bunch of different gyms for rounds and just to try — especially to fight someone like this, I’ve been sparring with a lot of bigger guys, guys that are like 175, 180 pounds, just because I know how big Jamie is, and he’s big and tall, and he’s going to come in huge on fight night. We try to mimic every fight who we spar with, right. So, every fight, we try to find guys that are going to be the best suitable for who I’m going to fight. Q. You mentioned earlier that you quit your job full-time to focus full-time on training. What did you do before you became a boxer full-time? BRANDON ‘BAD BOY’ COOK: I installed windows my whole life pretty much. I was working ten to 12 hours a day, getting up before work, 5:00 in the morning, running, going to work all day and then going to the gym. I did that my whole career until right after the fight with Kanat Islam. So I’ve only had two fights without a full-time job, and the last two fights, I was — finished strong and most energy I’ve ever had. It makes a huge difference being able to actually train full-time like the rest of these people do. I ended up breaking up with my ex-two years ago, and I ended up, sold my house last year and made a good amount of money, so I pretty much pay myself to train full-time. I wouldn’t be ready for this fight if I wasn’t training full-time. Q. You were supposed to fight Kell Brook late in July and you’ve been in training camp for a long time. How did you manage not over training by being in camp for so long and training for so long? BRANDON ‘BAD BOY’ COOK: First I was supposed to fight Kell Brook, and three weeks before the fight, he ended up pulling out with an ankle injury and three weeks later they give me Sam, and before we get on the plane they tell us he has an eye injury from sparring. I was just about peaked for that fight, but Eddie Hearn still let us go. Went to England for a week, had a little bit of downtime, checked out England. I still ran and did a workout but that was pretty much my week to recover and chill out. Then I went right back, as soon as I get back, I got back into my training because I had a big race coming up and all of a sudden, we got the call for this. So really, we only had five weeks’ notice, but I was already in really good shape. So, it wasn’t for me getting ready for those races, I probably wouldn’t be in the shape I’m in right now. But this is the best shape I’ve been in in my life. I have no excuses. The best man is going to win next Saturday night. I’m really happy with this opportunity to show everybody that there’s actually really good names coming out of Canada. Q. You’re what would you like fans to know about you going into this fight on the 15th? BRANDON ‘BAD BOY’ COOK: I’m like the normal guy. I do everything that I’m supposed to do. I train — one thing about me is I train hard. That’s one thing that everybody that knows me; one of the hardest trainers — I’m pretty much the hardest guy that works in the gym. I do everything I can to win fights. Obviously, I don’t have — when I first started boxing, I didn’t have the best boxing skills, but I’ve learned a lot. Once I come there next Saturday night, and when I fight, people are going to enjoy the fight, because the style of matchup between us, too, is going to give people a lot to think about. It’s going to be obviously a tough fight for both of us. We’re going to be getting hit a lot, but obviously I don’t want to get hit too much. I’m sure he doesn’t want to get hit too much. This is a dream come true. Any kid, man, that grew up in boxing, always wanted to fight for a world title, but to be on the GGG-Canelo undercard is just the creme of the crop. Icing on the cake. This is everything I ever wanted. I just want to show everybody that we’ve been working really hard to get to this, and I’m not just coming in to get paid. I’m coming there to fight. I’m coming there to give people what they paid for, and that’s a good fight. Q. Who are your role models in boxing? BRANDON ‘BAD BOY’ COOK: To tell you the truth, the two people fighting in the main event. I’ve been watching those two since I started boxing. But the very first — like the very best guy that I ever watched was Mike Tyson growing up. His demeanor or walking into the ring and knocking people out is just something like I’m always, wow, this guy is nuts. I just love the way he just came in there and knocked people out just out cold just like that. People would pay top dollar just to go see that. I would even go pay to see a round. Obviously, the skill level is not as good today, but he was really small for a heavy weight. He’s always been a guy that I’ve always loved, and Mike Tyson — I don’t know, everything about him, I just like it. I love him. You’re just going to see me, I’m going to have a big smile on my face and when that bell rings, I change my whole demeanor. I can’t wait. Q. Do you think about the legacy of some of the other fighters from Tijuana, and how has that helped shape your career? JAIME MUNGUIA: I had a lot of motivation because of them. As a kid, I used to watch them fight and I remember a lot of them. When I was a kid, I wanted to be like them, and there’s been a lot of motivation because of those guys. Q. Do you intend to stay in Tijuana for training, at least in the near future? JAIME MUNGUIA: I’ve been training in L.A. for my last two bouts, but I don’t have any problems training in Tijuana, either. Q. And you were part of the big public media workout at Bank of California Stadium, and you have some fans there. How did you like that experience? JAIME MUNGUIA: I love it. The reason why is I saw everybody — the people really put their hard work and money into the sport and buy tickets, and I saw that and I loved it. Most of the people that know a lot about boxing, a lot of the people that were there gave me a lot of love, and that was even better to keep working and more motivation for the next fight. THE MODERATOR: Thank you all for your questions. We are just going to have the fighters make their last comments. Brandon, would you like to make a last comment? BRANDON ‘BAD BOY’ COOK: Yeah, I just want to thank everybody for being a part of this, and you guys are going to enjoy this fight next Saturday night because we’re both coming to fight. I’m giving everybody the best show I can, and I’m just really happy for this opportunity for me and my team. We’ve come a long way and this is going to be amazing. I can’t wait to be there, in Vegas, on the biggest card of the year. THE MODERATOR: Thank you, Brandon. JAIME MUNGUIA: I want to invite everybody, all the people to read about this and see the fight on Pay-Per-View. You’re going to have a main event that’s going to be incredible between Canelo and Golovkin, and you’re going to love the fight I’m going to bring on Saturday. THE MODERATOR: Thank you. Wonderful. Thanks for those comments. Okay. Everybody, that concludes Canelo versus Golovkin 2 conference call. Thank you for participating and see you at the fight on September 15.